Herbal teas have long been known to have medicinal benefits as well as being tasty to drink. 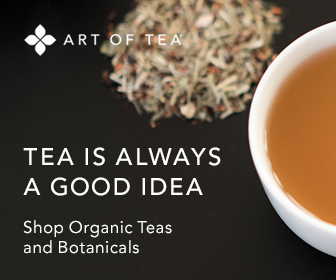 Some of the most popular include chamomile tea, jasmine tea and ginger tea. Each has a distinctive taste as well as health benefit. Chamomile tea is among the most popular herbal brews for its smooth, sweet flavor and health benefits. Many people drink a cup just before bedtime to help them fall asleep easier. In addition to serving as a natural sedative, chamomile can offer anti-inflammatory and anti-spasmodic benefits to help relieve stomach and menstrual cramping. The plant's essential oils are known to support digestive system functioning. With its purported calming benefits, some people drink chamomile tea to help relieve anxiety and stress. Chamomile is also good for your skin; you can wet a cloth in the tea and use it as a skin cleanser or compress. Jasmine teas have a lovely scent and flavor with all the wonderful antioxidant properties of green tea. Jasmine has long been known for its relaxing and warming qualities -- and soothing nature to the digestive system. It also may help lower cholesterol, according to recent studies and may even help with longevity. Ginger teas have powerful medicinal properties. Ginger is reputed to be an aphrodisiac and can help freshen breath. It has anti-fungal and anti-spasmodic properties -- and can help soothe stomach upset by neutralizing acids and aiding digestion. Ginger is also reputed to help relieve nausea, motion sickness, dizziness, flatulence and even help to ease muscle pain. For information on other herbal brews and their benefits, click here. For loose dried herbs, use one teaspoon per 8oz cup of tea. Add the herbs to boiling water and let steep for three to five minutes - and adjust steeping time to your taste preferences. Herbs are also blended with black, green, oolong and white teas, which are available in loose leaf form and prepacked tea bags. Don’t let the herbs steep too long or it will start to taste bitter. For a stronger brew, simply add more herbs. Article information by Lee Dobbins of Vitamin and Herb Guide For Natural Care and Healing.